Hematology – Online USMLE Prep Course | Study with Lecturio! 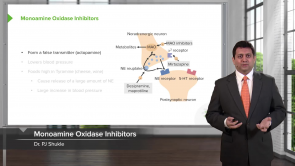 This course on Hematology provides you with high-yield concepts in all aspects of red and white blood cell disorders essential for Step 2 or the internal medicine shelf exam. It includes a step by step introduction to the important topic of anemia and its different types such as microcytic and normocytic anemia. Moreover, you will find information on Lymphadenopathy, Leukemia and Quantitative WBC disorders. Lecturio also provides you with further download material, interactive quiz questions, clinical pearls and mnemonics to make sure you're well prepared. Anemia is one of the major reasons why patients present with shortness of breath, fatigue, pallor and weakness in clinics. Anemia is a reduction of the oxygen carrying capacity of the blood that results in decreased oxygen supply to tissue cells. It is of utmost importance for doctors to rule out anemia as a cause of this range of symptoms as not giving prompt medical treatment can result in severer symptoms and even fatality. 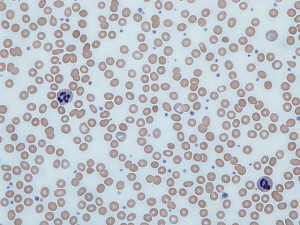 Paroxysmal nocturnal hemoglobinuria (PNH) is an acquired defect in the myeloid stem cell lineage and can be seen as a rare, chronic, morbid disorder. Formally known as Marchiafava-Micheli syndrome, it received its current name as a descriptive term for the disease. Individuals afflicted with the disease wake up to dark, “cola” colored urine due to RBC breakdown and release of hemoglobin in the urine overnight. The discoloration of urine is seen in several other disorders, which is why it is important to discern the disease from other hemolytic disorders as the article depicts. Acute blood loss is the leading cause of acute anemia. Damage to blood vessels due to several etiology results in disruption of integrity of blood vessel leading to blood loss. 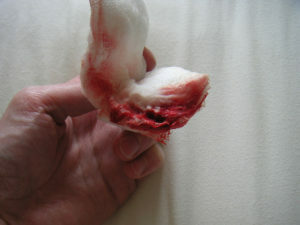 It is of two types, internal and external bleeding. Internal bleeding may not easily diagnosed in many cases because of bleeding inside organs, which may result in hematoma formation. 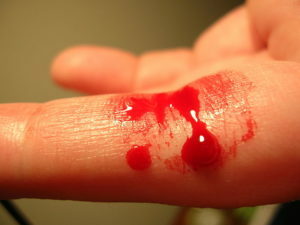 External bleeding occurs through skin from injuries and wounds. Acute blood loss usually requires emergent surgical interventions to avoid further complications. Sideroblastic anemias are a heterogeneous group of disorders with two common features: ring sideroblasts and affected heme biosynthesis. 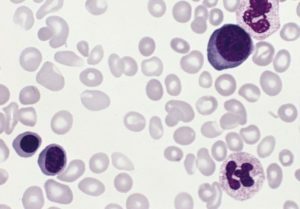 In this article, the most important forms of sideroblastic anemia are presented as well as their etiology, diagnosis and therapy. Hodgkin's disease is one of the first cancerous diseases for which effective treatment options have been developed. While this disease still ended lethally earlier, the prognosis is very good today. This is particularly due to the radiation sensitivity of lymphoma. 80 % of the patients can be cured permanently. This article provides a comprehensive overview of the hematologic disease, the symptoms, diagnosis and therapeutic principles. Phlebothrombosis is a very common and very serious condition. 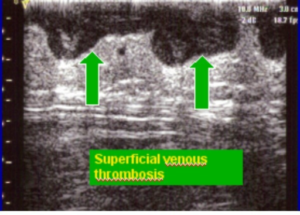 Blood clots in veins can mobilize and cause significant harm and even death in some cases by blocking downstream vessels. This condition needs to be thought of in all new hospital admissions, especially those who will be particularly immobile or those undergoing operations, so they can be given medical prophylaxis to reduce the chance of a blood clot forming in the venous system. Chronic myelogenous leukemia, also called chronic myeloid leukemia (CML), is an acquired monoclonal expansion of white blood cells of myeloid lineage. 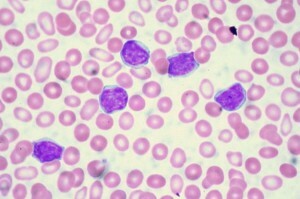 It is common in middle and old age accounting for 20% of adult leukemia. 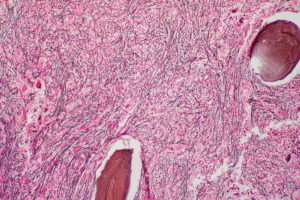 It is sometimes diagnosed incidentally on routine blood investigations or the presence of splenomegaly on examination. CML is classically associated with the Philadelphia chromosome (BCR-ABL fusion gene) and has excellent prognosis with modern therapy. 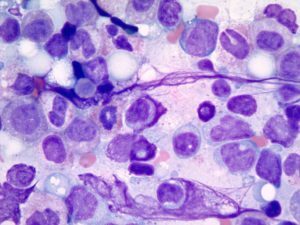 Acute lymphoblastic leukemia is a malignant neoplastic disease that arise from lymphoid cell lines. It is the most malignancy in childhood. 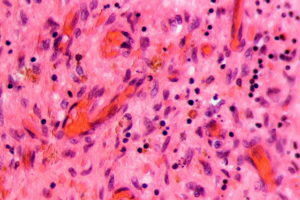 The disease manifests quickly over a span of days or weeks. Excessive proliferation of immature blasts replaces the normal bone marrow cells resulting in bruises, bleeding and infection that associated with fever. 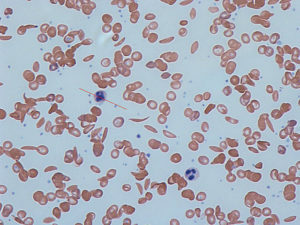 Diagnosis of ALL is established by complete blood count (CBC) which shows leukocytosis , bone marrow study which shows more than 20% blast cells. It has a good prognosis. 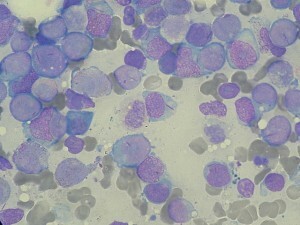 Acute myeloid leukemia is due to a malignant transformation of the hematopoietic stem cells. It is predominantly seen in the age group of 50 – 60 years and is characterized by the arrest of leukocyte development in the early stage of development. Diagnosis is based on the presence of blast cells in the peripheral circulation. 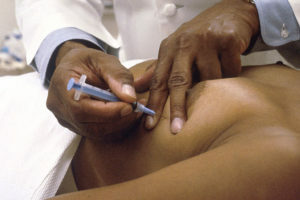 It is treated by chemotherapy, which includes treatment of remission and post-induction remission. Refractory cases of acute myeloid leukemia are treated by bone marrow transplants. 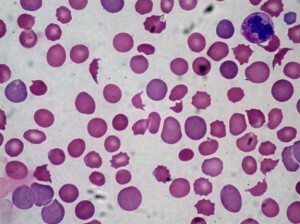 Complications of AML include anemia, infections and bleeding, along with acute medical emergencies such as necrotizing enterocolitis, hyperleukocytosis and tumor lysis syndrome. 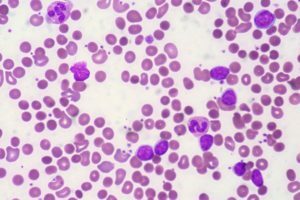 Chronic lymphocytic leukemia (CLL) affects the B-cells of the immune system and is, as the most common leukemia in adults, an important hematological differential diagnosis. It often hardly progresses for years and therefore a CLL does not always need immediate therapy. In the past years especially, a lot has happened with regard to diagnostic options and treatment, so that being informed about cytogenetic diagnostics and new treatment methods is extremely important. In practice, anemia often appears in the blood count, accompanying many acute and chronic diseases. Clarification is definitely recommended because already a lowered hemoglobin value alone can be the first important hint for an undetected underlying disease. Many people suffer from cardiovascular diseases. Stroke and myocardial infarction rank among the most frequent causes of death due to cardiovascular diseases. The causes are blocked vessels and the resulting insufficient blood supply of vital organs and tissue. Surgeries are usually the last resort and, at the same time, the start of a new, safe and hopefully healthier life. In this article, you get to know more about the mechanism of action, the medical application as well as the possible side effects of anticoagulants. Regardless if it’s playing sport, around the home or at work, cuts can happen everywhere in day to day life! There is a short spray of blood then a few minutes later the wound has closed itself with only a plaster reminding us of the little faux pas. But what happens if the apparently minor moment of carelessness suddenly becomes a life threatening event? What is ‘hemophilia’ as it’s commonly known? 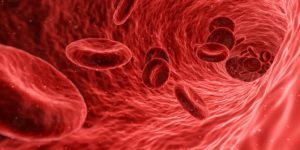 This article explains the range of blood disorders, which of them are hereditary and how an almost incident free life can still be led despite having one. If not treated the aplastic anemia diseases leads to death. 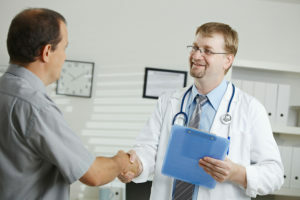 Everything you have to know as a future physician in this article. In this article, the rare disease pyruvate kinase deficiency is presented, emphasizing on their etiology and clinic. Burkitt lymphoma (small non-cleaved cell lymphoma) is one of the most aggressive and rapidly growing non-Hodgkin's lymphomas, with obvious predominance in children and young adults. 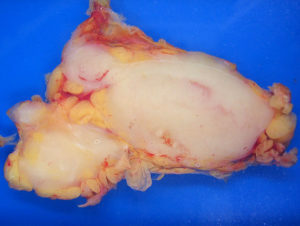 This type of tumor requires urgent therapeutic intervention as the CNS and the bone marrow are involved in the malignant process since early stages of the disease. Plasma cells neoplasms are the cancers of plasma cells that are responsible for producing antibodies in our bodies. 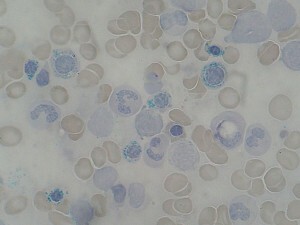 These abnormal plasma cells proliferate rapidly in the bone marrow causing extensive bone destruction. They also produce increased quantities of monoclonal immunoglobulins (M-protein) that build up in our body, leading to the thickening of the blood and damaging our kidneys. 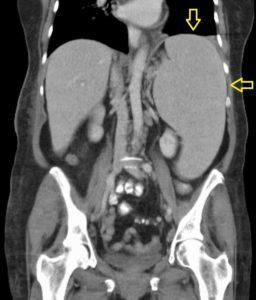 Splenomegaly is the enlargement of the spleen. The spleen is an integral part of the immune system that provides efficient immunosurveillance (production of WBCs defending the body from various infections) and hematopoiesis (“cemetery” for damaged and worn off erythrocytes). The spleen is allocated in the left upper quadrant of the abdomen behind the ribs 9-11, on the left from the stomach, and the tail of the pancreas, above the left kidney, the splenic flexure of the colon. 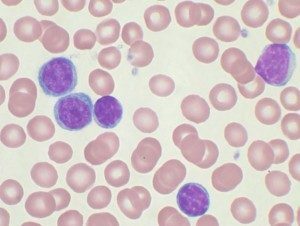 Leukemia is blood cancer, this condition is characterized by exceeded amount of immature white blood cells in the blood stream (blasts), which normally remain in the bone marrow for their further maturity or sent to special organs (spleen, thymus) to get ready for their proper functioning. White blood cells are responsible for the adequate immune reaction of the body to various antigens (infections, malignant cells, foreign bodies, allergens); hence, immature cells cannot cover this function fully and fail to perform in the way m proper white cell do. Thus, the body easily contracts different infections as it is not capable to fight them, as the disease advances the bone morrow becomes exhausted shooting even more damaged cells or stops producing blood cells at all (hemogenic collapse). Lymphoid neoplasms are divided into the two main groups: Hodgkin and Non-Hodgkin Lymphomas. The former ones are the most curable due to the specific pathogenesis of the ailment and recent advance in the methods of treatment (5 years survival for the patients with favorable prognosis 98 % and 85 % with a less benign one). The malignant cells form in the lymphatic system; mainly, they are represented by white blood cells, namely, immature B-lymphocytes. HL may take place in any part of the lymphatic system. This disease was described by Dr. Thomas Hodgkin in 1832 as a type of cancer of the lymph nodes. There are two types of lymphomas - Hodgkin Lymphoma (Hodgkin`s Disease) and Non-Hodgkin Lymphoma. 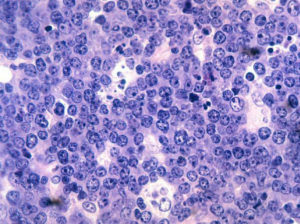 The follicular lymphoma belongs to the second group. 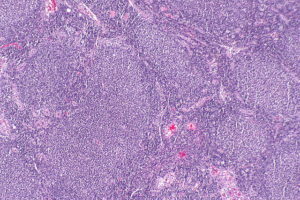 It is a slow-growing B-cell lymphoma, and the second most common sub-type of NHL; most often occurs due to chromosomal translocation t(14;18) causing bcl-2 gene rearrangement. Most of the patients with FL are asymptomatic; hence they remain undiagnosed for years and usually detected in the advanced stages. 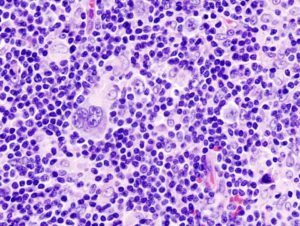 Diffuse Large B-Cell Lymphoma (DLBCL) is the most common type of non-Hodgkin lymphoma (NHL), accounting for one-third of all NHLs in the western world. 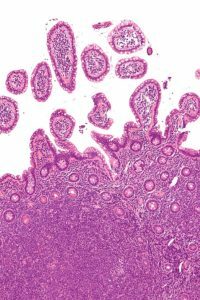 It is a very aggressive, fast-growing neoplasm unless diagnosed and treated timely (survival is less than one year without a cure). 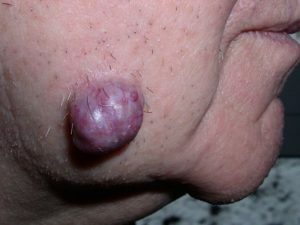 This illness is characterized by painless enlarged lymph nodes. It has a very close affiliation with genetic issues, Epstein-Barr virus (EBV) and immunocompromised conditions (congenital and acquired: HIV, AIDS). Non-Hodgkin's lymphomas (NHL) are hematological malignancies with high prevalence worldwide (accounts for about 4 % of all cancer cases and 2.7 % of all cancer deaths). They are cancers of the lymphatic tissues (mainly lymph nodes), affecting the lymphocytes, either B-cells (70 %) or T-cells/NK cells (30 %). NHLs are five times more common than the Hodgkin's lymphoma (HL). The following article discusses both B-cell type NHLs and T-cell type NHLs. Chemotherapy (chemo) is the specific systematic treatment administered in oncological practice for malignant neoplasms in order to destroy chaotically dividing abnormal cells. Chemo is a part of anticancer treatment along with radiotherapy, immunotherapy and surgery. 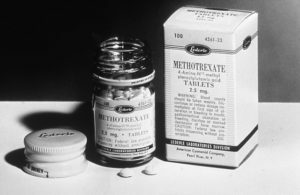 The drugs used in chemotherapeutic protocols cannot be purchased over the counter; they can be taken with prescription only. Cancer drugs influence and actions are directed to the malignant cell reproduction, cure, control, palliation or chemoprevention. The thymus is an important part of our immune system, located in the anterior mediastinum. Due to this fact, the diagnostics, access, and management of its neoplasms (thymomas) are somewhat difficult. 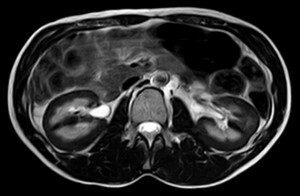 The thymomas often involve the contiguous organs and are also frequently associated with other paraneoplastic conditions, making the condition even more complicated. When the physicist and Nobel Prize winner Marie Curie died in 1934, her blood was flooded by white blood cells. During her work as a researcher and the years of contact with radioactive substances, she had developed a leukemia. There are various causes and forms for the disease, which is also known as blood cancer. 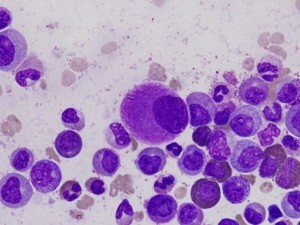 Learn here about these and you will be well versed in the popular examination topic Leukemia. Hemolytic anemia is characterized by intravascular and extravascular destruction of erythrocytes. 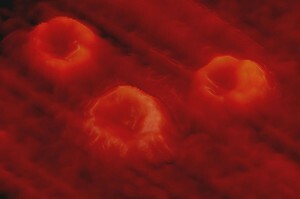 It manifests if the production of the erythrocytes in the bone marrow is slower than their degradation. 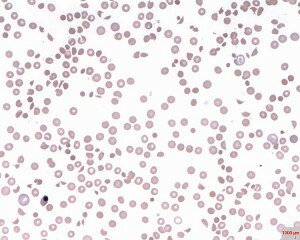 A first good differentiation of the several forms of hemolytic anemia can be made between ‘hereditary’ and ‘acquired’. 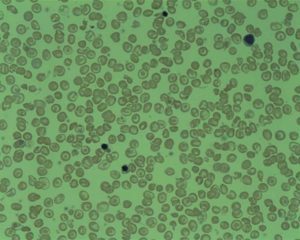 In this article, the most important forms of acquired hemolytic anemia are presented, emphasizing on their etiology, clinic and therapy. Red blood cells perform an important function of supplying adequate oxygen to all tissues. Increased synthesis of these red blood cells, arising either de novo or secondary to other conditions, is called polycythemia. Read on to find out more about the different types of polycythemia and how they may present. 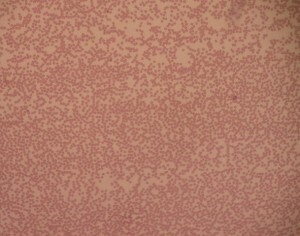 In hereditary spherocytosis, red cells on the blood film are smaller and more dense than normal. Treatment is with folic acid and, where necessary, a splenectomy. Glucose-6-phosphate-dehydrogenase-deficiency is an enzymatic disorder of erythrocyte metabolism. It is one of the most frequent congenital diseases and the most frequent enzymatic disease worldwide. Thalassemia is a major cause of microcytic anemia due to an imbalance in the production of alpha or beta globin. 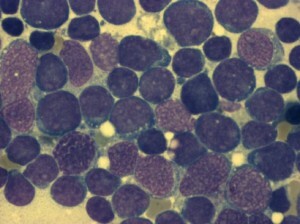 α-Thalassemia results from deficiency of α-chains. 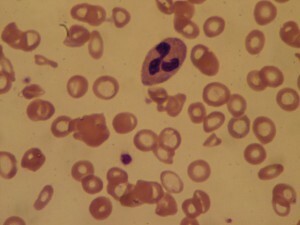 β-Thalassemia results from deficiency of β-chains. 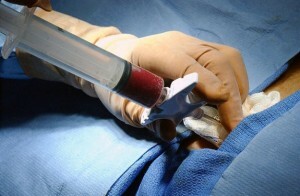 The treatment, if required, involves blood transfusion. Very common, and therefore important to know, is the so-called anemia of chronic disease. From this article, you will have all the relevant facts that you need in order to be well prepared for your exams. Patients with myeloproliferative diseases can have chronic myelogenous leukemia, polycythemia vera, essential thrombocythemia or myelofibrosis. Disease transformation from one type into another is common. Different tyrosine kinase genes mutations have been identified and found to be related to myeloproliferative diseases which include bcr-abl, JAK2 and CALR mutations. Treatment of proliferative diseases is usually symptomatic, but disease specific treatments are also available. Hematopoiesis is the process of blood cell formation. It begins in embryogenesis and progresses to adulthood to replenish the cellular component of blood. The sites of hematopoiesis include the yolk sac at the embryological age of 0 - 2 months and the liver and spleen during the embryological age of 2 - 7 months. The bone marrow and thymus are definitive sites of hematopoiesis that take over the function from 8 months to adulthood. Extramedullary hematopoiesis in the spleen and liver can either the bone marrow is destroyed and cannot fulfill the function anymore. Our body employs many mechanisms in order to maintain homeostasis. One particular term that is worth our attention when it comes to tackling homeostasis is hemostasis or the body’s tendency to prevent the contents of our intravascular compartment (blood) to leak into different compartments within the body and into the external environment. This term also refers to the body’s maintenance of the smooth flow of blood within the blood vessels. Hemostasis consists of intricate interdependent mechanisms. These have been the focus of many pharmacological studies that aim to address certain blood disorders. Read everything about it here. 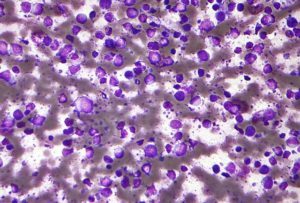 Myelodysplasias are a group of malignant myeloid stem cell disorders characterized by dysplasias and/or cytopenias and there is an increased risk of transformation into acute myelogenous leukemia. The pathogenesis of myelodysplasias is not completely understood but, like other neoplasms, it too involves oncogenic mutations that may arise spontaneously or as a result of environmental exposure. The diagnosis of myelodysplasia is done by finding changes in the peripheral blood smear and bone marrow aspirate. Management of myelodysplasias depends on the percentage of blast cells. The article explains hemostasis, venous and arterial thrombosis, its symptoms, diagnostic tools, causes and treatment options. Learn more about it on Lecturio. Prof. Paul Moss is Professor of Haematology and Head of the School of Cancer Sciences at the University of Birmingham. He studied Medical Sciences at the University of Cambridge and later on was a fellow of the Royal College of Pathologists. Professor Moss makes substantial contributions to teaching at many levels, both within the University of Birmingham and beyond. His research is primarily focused on Cancer Cell Biology, Clinical Trials and Tumour Immunology. I love the way Dr. Raj teaches, very concise and interesting. Dr. Raj does an excellent job in providing memory tools as well as making the review funny. Considerate and well performed explanations, look forward for more good outcomes. Thank you doctor. poor use of diagrams. a pointer should be used for every microscopic slide. Love Dr. Raj. He does his best to explain the topics and he's a jokester; bringing humor into learning. I had troubles understanding this topic in years!!!!! Dr. Raj could explain it to me in minutes! Thank you so much! You are doing such a great work for your students! I feel like I'm in good hands with Dr. Raj! I especially like how he comes back to a point multiple times to emphasize it/make it stick. Its a pretty usefull tool to learn about nHL if you don´t remember a thing about it. Solid and only the essential aspects. Funny, engaging, and surely Dr. Raj gets the concepts going! Well explained to understand the concept! Very clear concise and professional. I like this brand of teaching. Î really appreciate the Lectures, this whole Website helps a lot. But it´s annoying that the Professor always says " repeat it 3 times fast " , Theres no point in doing that , if nobody could understand him in the first place . If you cant properly spell it out /pronounce it one time, it´s no use to repeat it fast. Awesome lecture! Dr. Raj keeps the content interesting which helps keep you engaged! No words to describe how good are all the lectures performed by Carlo Raj. High yield, entertaining, interactive, concise. Concise and laser focus on the high yield facts. Lectures are interspersed with witty humor which does not stray from the subject matter. Refreshing. Great explanation and funny references, it will be easy to remember. Thank you Dr Raj, it was a very good lecture and your humor was keeping me interested in the topic. I think he explains the topic in a very detailed and helpful way. Rating : Five stars for the excellent, detailed explanations required for a student to understand the core concept of the topic. Likes/Dislikes : The ridiculously hilarious humour helped me retain a lot of information regarding the topics. More like UNforgettable. There's nothing i dislike about the course. Recommendation : Definitely to my classmates, especially those struggling to grasp concepts in Medicine. There is no clear concept. Not much relevant information for the exam: too many details. It is like reading the book, not a lecture. Very complicated and not interesting. So informative and well edited video , The Lecturer is excellent indeed . I better understand CML. This was a very high yield lecture that was very well presented! It was good .. but..! As l am postgraduate I found that the info was familiar .. I think if you made other uncommon subjects avalible free .. I could be covinced that I could benefit from supscribing in order to review my knowladge and prepare for my exams. It is was precise and clear lecture of anemias.. Thank you so much Dr. Raj! Literally the way that I was hoping that my medical school would present it. Logical, succinct, linear, and perfect. No overcrowded slides with low yield minutia presented in an unorganized manner from well meaning but overexcited PhD's. Just the good stuff, just what's relevant and what you absolutely have to know in the order that you have to know it. Perfect. The breakdown of the material is well explained in simple terms. Dr Raj is aaawessome!! He keeps me on my toes and I love it. His lectures reduced my studying time drastically and I’m more effective. It's too advanced, for beginners. This is the only video that matches Robbins and Cotrans for hemostasis, but you just added new videos today. Easy to understand and just what I need to pass my exams! Simple and easy to understand. Dr. Raj explains it well & gives pointers for remembering. Dr. Raj is really funny and makes the lecture engaging. His thought process is very logical, and it helps me really remember some of these more complicated concepts. Funny. Gives you the "meat" of the concept. Not long winded. Very knowledgeable. Clinically relevant and with enough detail. Lecturer keeps your attention throughout the whole video lectures. Very pleased. Feels clinically important! And Dr.Raj seems so passionate about his subjects, and he makes all his lectures fun and interesting. Highly professional and of course rewarding lectures. Fast pacing and supplementary material make me learning efficient. Really appreciate them. Many thanks. This is fail about teaching in detail about leukemia . The detailed PBS and Bonemarrow is fewer than expected . More over for the hematology lesson , this is not a concise approach to the leukemia patient . Not enough knowledge to take care of leukemia Patient too . This chapter is far away lower standard than the pulmonology or cardiology chapter . No nonsense. No extraneous "mnemonics". This was a dense, clinically-relevant presentation of material that will very likely be on Step 1. Dr. Raj has a way of presenting that keeps my attention and gives me a sense of primacy that I don't get from other kinds of videos. Thanks Dr Raj, I really enjoy your lectures. Concise and to the point, highlighting exactly what is in my first aid book. Great review. Thanks so much! Great approach to the material and logical steps to learning. Very funny and entertaining lecturer, helps you to remember facts in a good way.